I have not been purchasing any new eyeshadow palettes for a while (till last thursday, when I got myself the Makeup Geek X Manny Mua palette and some single shadows) and I have made it a habit to shop my stash, as your girl really needs to keep her spending under control. Colourpop shadows are lovely, despite their bulky packaging and unique creamy texture. I love their shadows but I restricted myself in buying many as I am really running out of space (and there is no way to depot them). Regardless, one of my ultimate favourites from my tiny collection has got to be So Quiche. This is a gorgeous shimmery mossy green with purple glitter - a perfect blend of my favourite two colours! 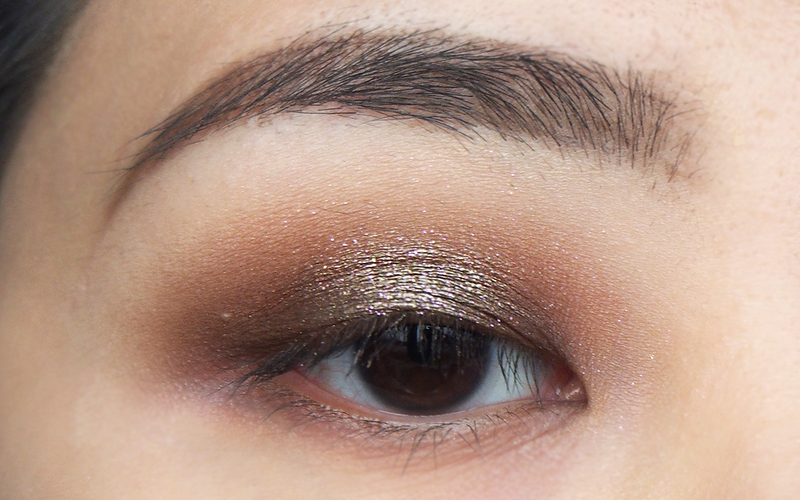 So I decided to bust it out and create an eye look with it. Instead of putting all the pictures into a collage, I thought to put em' individual shots here so that you can see the brush placement and the deposition of colour onto the various positions of the lid. Side note, you also get a front seat to my large pores, under eye bags and wrinkles - but hey, we're all human and these are a part of life. 1. 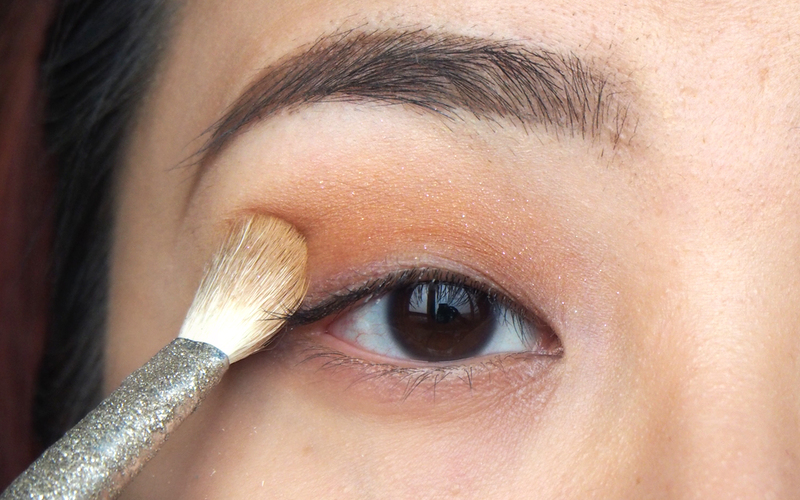 Start with a primed lid. I have not done my concealer nor foundation as I foresee some fallout so I will only apply my base after I have completed the eyes. 2. 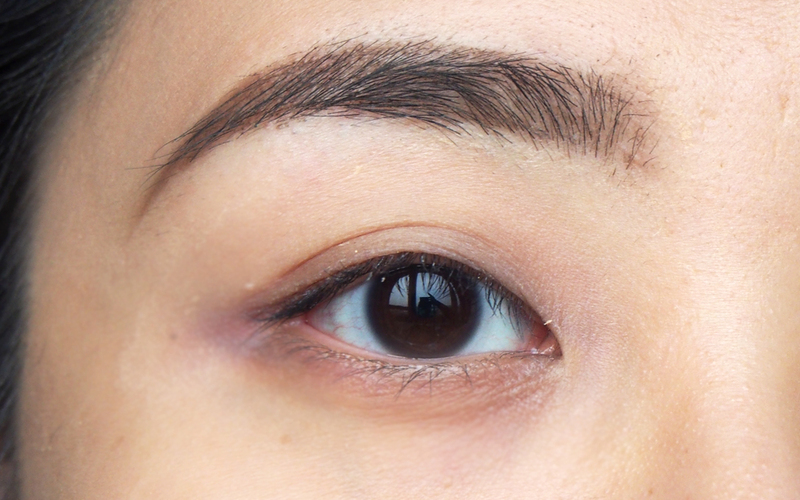 Using a fluffy brush, I applied a matte bone shade onto the brow bone and a little to the crease area to set the primer and make it less tacky - this will help the shades to blend much easier without skipping. 3. 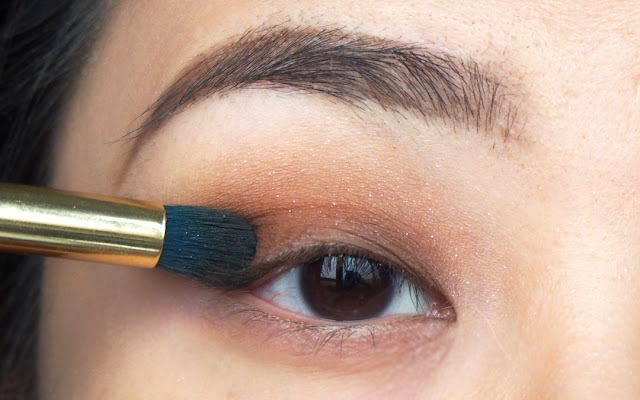 Using a tapered blending brush (such as the MAC 217, Zoeva 227, Sigma E25, Morphe M433), apply a transition shade onto the crease and blend it upwards towards the brow bone. This shade should peek through even after adding the other shades. 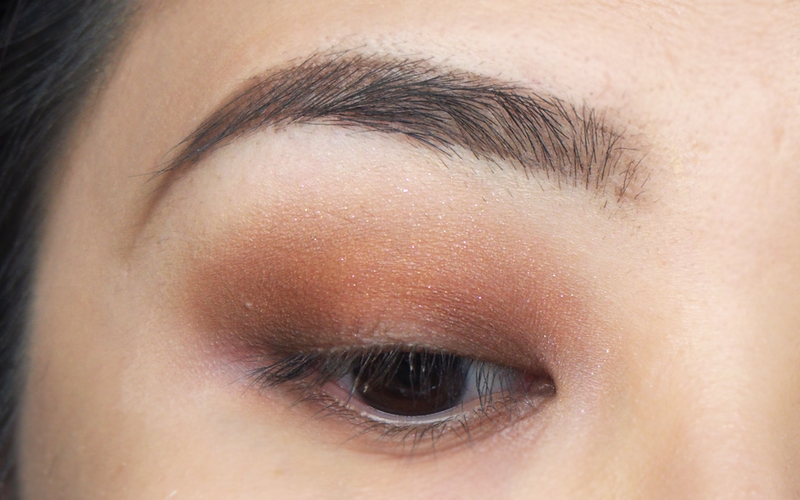 I chose Sherbet from the Anastasia Beverly Hills Self Made Palette. I think there might be some glitter on the brush but that's cool. 4. Using a more tapered and dense brush, apply a dark chocolate shade onto the inner and outer corners of the mobile lid. 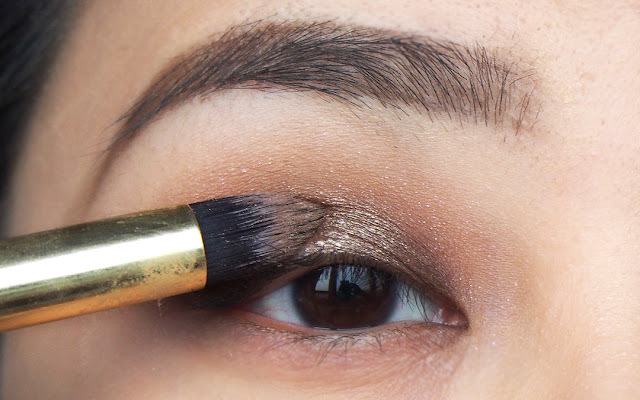 This helps to give the illusion of rounder eyes and helps to make em' look sightly larger. 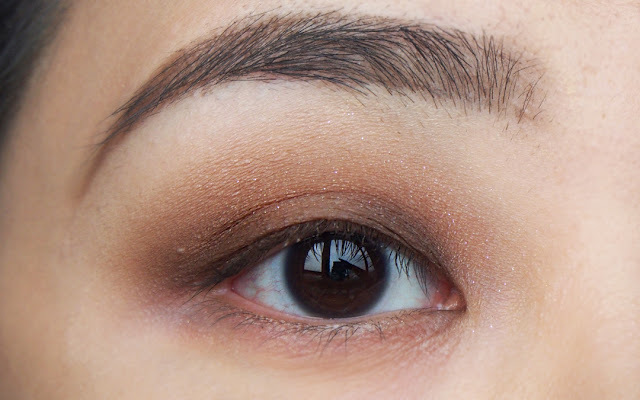 I chose Hot Chocolate from the same ABH palette, but any dark brown shade will do. 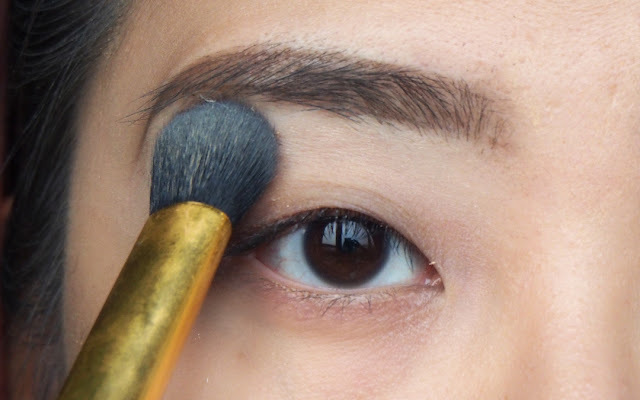 Pointing your brush down (shown below) when you apply the shade onto the outer V helps to focus the deposit onto the mobile lid instead of the crease. 5. 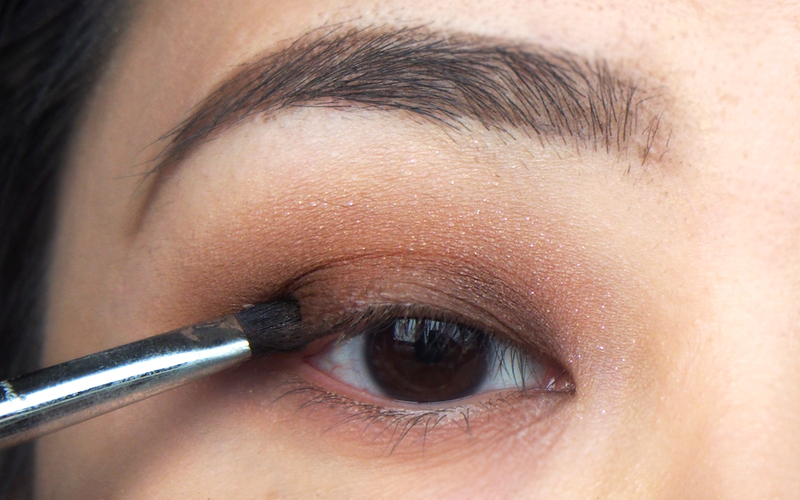 To add even more depth, I used a small shader brush to add some black shadow into the inner and outer corner of the mobile lid, but not covering the dark chocolate brown that was applied before. 6. 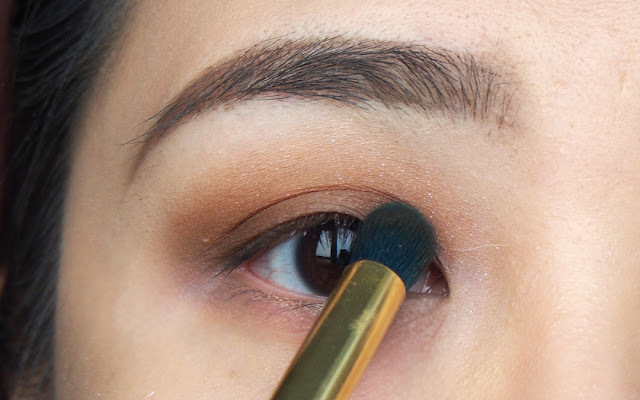 As I was feeling pretty excessive, I took a synthetic brush to apply Maybelline's Colour Tattoo in Bad to the Bronze onto the middle of the mobile lid to act as a base and to make the Colourpop shade pop even more when we apply it next. 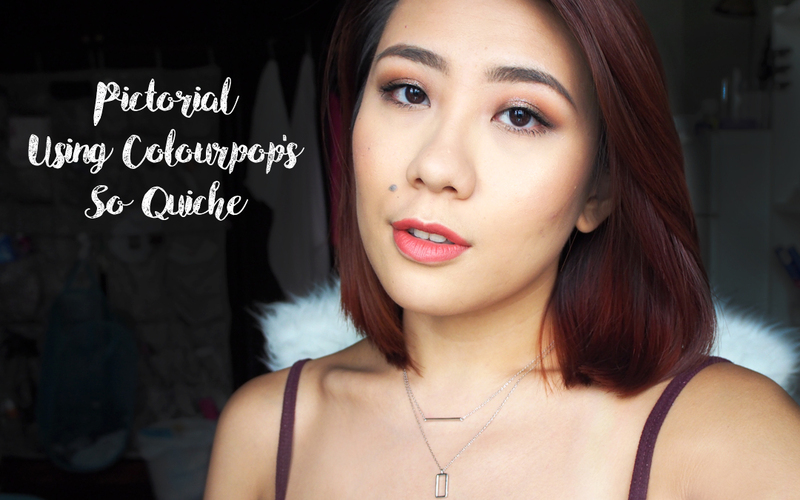 As Colourpop shades are usually really intense by themselves, this step is really optional. The eye is looking pretty good here so if you want to stop here, that's great too! 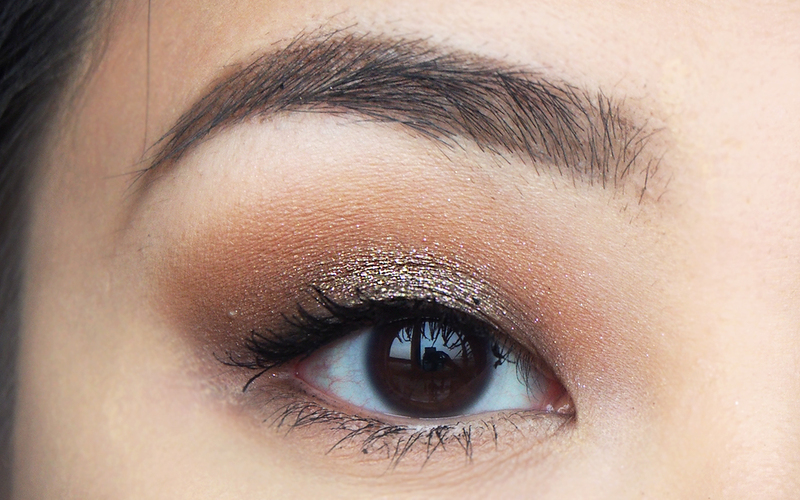 This is bronzey warm halo smokey eye that will look great for day or night. 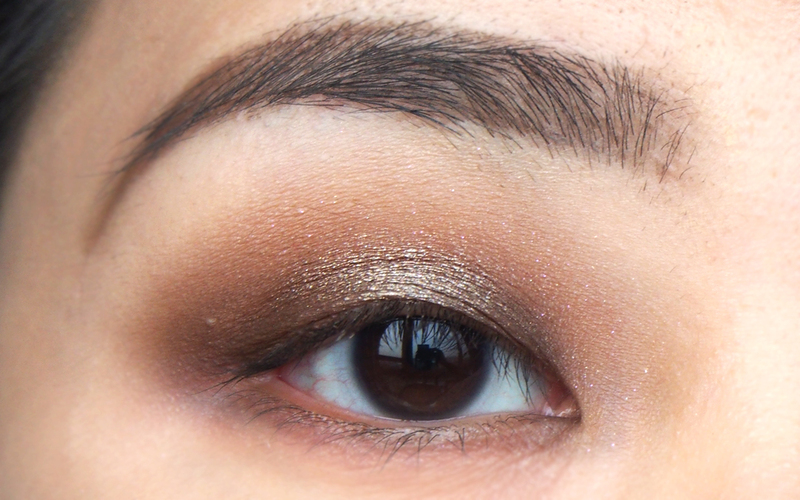 But I wanna go the extra mile, and use the focus of this look : Colourpop's Super Shock Shadow in So Quiche. 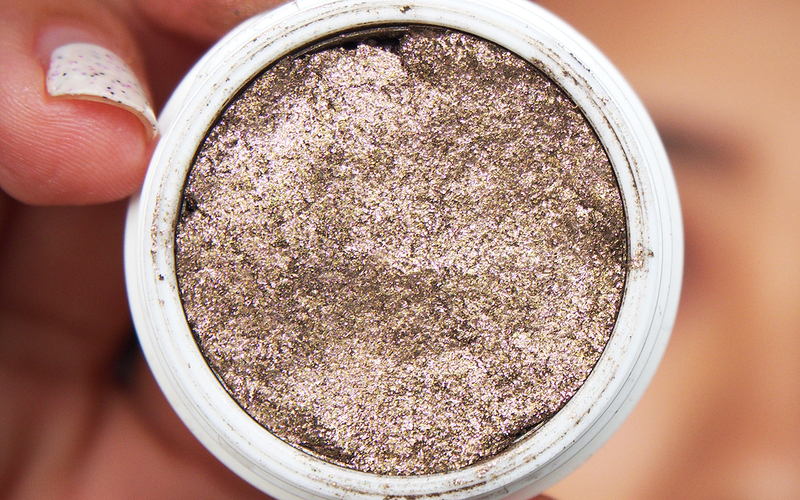 YES let's take a moment to bask in this amazing shiny glory. 7. I used my index finger and applied some onto the middle of the mobile lid (on top of the colour tattoo). I was definitely feeling the purple glitter. 8. 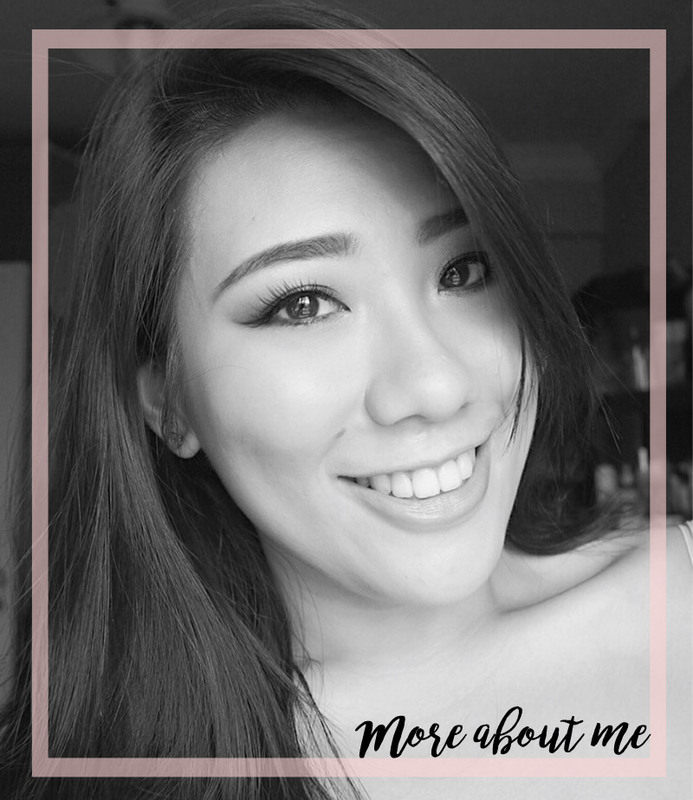 I decided to apply some black pencil liner close to the lash line to add more definition to the lash line. 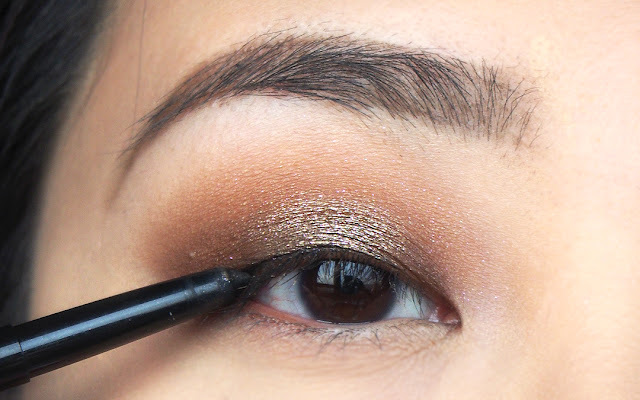 As my eyes are slightly downturned, doing this step (focusing on the outer half of the lash line) will help to lift the eye a tad bit. 9. Add some mascara and we're done! 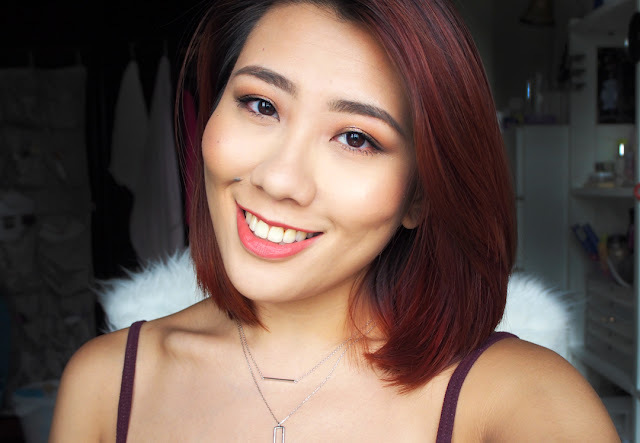 The lips are Burberry Lip Velvet in Honey Suckle, if you're curious! I wore this look for my date and was feeling pretty good! Do let me know if this was helpful! I am gonna try to do more.